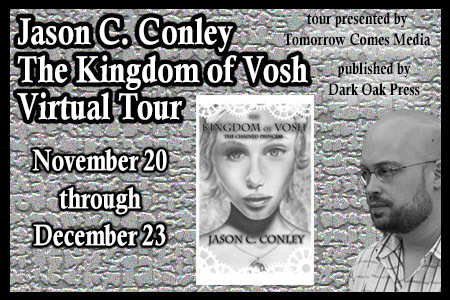 Here’s today’s guest post from Jason C. Conley, author of The Kingdom of Vosh. Symbols rule the world, whether they are bastions of freedom like the Statue of Liberty or ancient religious images like an ‘all seeing eye’ on top a pyramid, they instantly invoke an emotion. Sometimes hope, sometimes oppression, sometimes fear or a sense of belonging, they are used even by corporations to relate an idea or a feeling to the viewer. 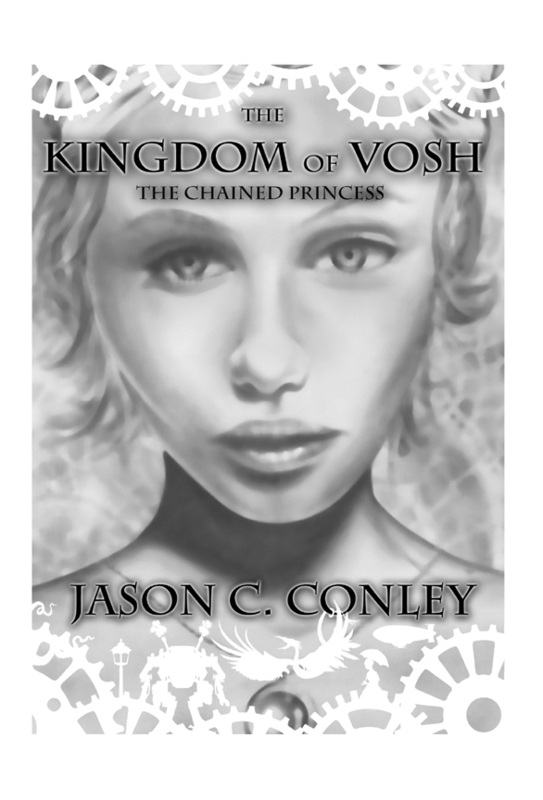 The Kingdom of Vosh is no different and we can take a look together about some of the hidden meanings behind the names and symbols and imagery used. What is in a name? The main antagonist in the book is named Lord Buul, and is a play off the false god in the Bible, Baal. Baal literally means master, owner, controller or lord, so this is a telling part of his psyche in that he believes he should rightfully be King. He is focused, pompous, egotistical, but he is also bound and limited by his own body by being crippled from birth. These limitations only serve to drive and fuel his blackened desires more, believing he was cheated out of his birth right. Buul also wears masks or helmets which symbolize his mindset. In the beginning of the book, he wears the dead skull of a dragon around his head. His mind is focused on one goal, death, destruction, conquering. He is a focused machine himself and has no desire other than self interests. By the end of the book, he is wearing a Jackal mask, symbolizing the life after death. He has been ‘reborn’ into a new creature, one that has let go of all he ever was or could be and is now completely fallen, controlled, pitiful and spent. Another name used that has deeper meaning is the Clock Tower Witch’s real name, Toth. Toth, or Thoth, was an Egyptian god of knowledge and wisdom. Toth, in the book, is an overseer, keeping constant watch over the lands and events that transpire and over the clocktower where she lives. She is neither good nor bad, beyond such labels, she sees herself as an onlooker, trying to keep balance to forces that are often at odds. These balancing, mirrored forces play a key role in the book as well such as the natural vs. the un-natural or mechanical. Buul’s main forces he controls are machines of war called S.D.L’s or Steam-Driven Loaders. They are walking beastly tanks, bipedal, with snapping claws and slashing coiled whips that are guided by a driver in a cockpit. They are relentless, trudging, oppressive beasts of war, blowing black soot and choking black ash from their exhausts as their very use and creation soil the lands and contaminate even their own drivers. The antagonist is male, the protagonist is female, brother and sister, at odds over control of the same kingdom, they even use clashing means to obtain their goals. One reaches out to the light of the world, holding onto a pendant around her neck containing the very last remnant of life-giving power from a dying star. She befriends the natural, the animals, the people, the worldly life-filled elements to help her on her journey. The other clings to darkness, obtaining power through the shadow and the mechanical, and the moon spirit named Shath and the absence of light. The blackening steam-driven machines of war are used to control and oppress those against their schemes. While both are driven by feelings of loss and revenge it is ultimately how one acts on those feelings and how they compensate for that loss that decides which one was misguided. Finally, and certainly not least, is the subconsciously used mechanic of binding or restraining the characters somehow. Now I will admit that is was not completely planned in any way and could make for some interesting therapy sessions later on but it is noticeable how many characters are restrained in the book. The life-giving power is held and kept inside the pendant around Jasper’s neck. Jasper herself is chained physically to a vile creature named Vork. Ron, the young boy thief, is held captive and locked inside his own S.D.L. mech. Buul is at one time bound to a wheel chair, unable to walk. The moon spirit Shath is restrained to the shadow, seeking to find a physical body in this world. Ogg the Ferocious is held prisoner on an island, and Prince Malcolm is controlled and blackmailed into turning over the Princess. It is this theme of control of one’s own destiny, of self, and the empowerment of yourself that is ultimately what this book is about. What holds a person back? What is it that has a person restrained in their life? How do they react to that and how do they regain that power and overcome those obstacles and reclaim their destiny? How do you break free of the chains that bind you? 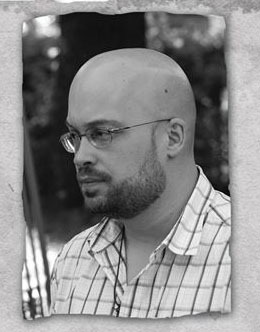 About the Author: In 1999, Jason Conley drew a picture of a young woman’s face. It eventually became the cover of the book you now hold. When not consumed by writing or art, Jason canoes, fishes, and hikes the rolling hills of Tennessee with his family. There are secrets to this world we live in. Some faintly whispered, others hidden in plain view. Some of those secrets have been carefully placed throughout this book. Truth and fiction, it is what we try to discern between every day, though I wonder is it even recognizable anymore? Do we know the truth or are we simply told what to believe in and what is real? It is a journey we are all on. It will be up to you to decide which parts are which. Break loose of those chains and look around you, because the truth… will set you free.